I had a friend, Ron Nash, who did my castings when I had my Turbocharger company (Arkay Inc), make up a cylinder head for the V-6 engine that could be used for the normally-aspirated engines used by the Bob Leitzinger team of 240SX cars. When the Motorsports Department had tried to get a new head made up in years past, the price was way way too expensive, so the cheaper castings I had arranged made it possible for big improvements of the engine and the teams could now afford the parts. They were powerful and successful, and of course all of the technology and advancements we pioneered eventually trickled down into improvements to the cars and trucks that Nissan was selling worldwide. While at LeMans in 1990, I was asked to head up NPTI as Vice President of Operations. Along with being the new Vice President of Operations for NPTI, I was National Motorsports Manager for Nissan. In 1991, Brabham won his fourth consecutive Driver’s Championship, and we claimed our third Manufacturer’s Championship. We were dominant, unbeatable, and a model (and target) for every other factory team. The following year, we performed relatively well, but a pair of devastating crashes at Road Atlanta and increasing pressure from Gurney’s AAR Toyota entrants prevented us from maintaining our position at the top of the pack. I had, of course, already made big plans for the coming years. On the horizon was building the Sports Car World Championship car for the factory in Japan, the P-35. This car was to be fitted with the Nissan 12-cylinder normally aspirated engine. The car was completed. We had factory engineers at our premises all the time watching to see how we were doing things. The chassis was successful, but the new 3.5 liter VRT35 V12 engine was down almost a hundred horsepower from what the factory claimed. The car never really had a chance to get a winning record. We tested at Daytona and were fast enough to set a record lap time, but the money to keep all this infrastructure running was being cut off by Japan. Suddenly, there were no funds. Nissan felt the brunt of a swift downturn in the Japanese economy, high austerity was forecast, and Nissan internally decided to focus its racing efforts on production-based IMSA classes. 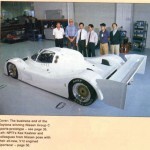 The new, never raced P-35 cars were shipped to Japan. The tooling was destroyed. 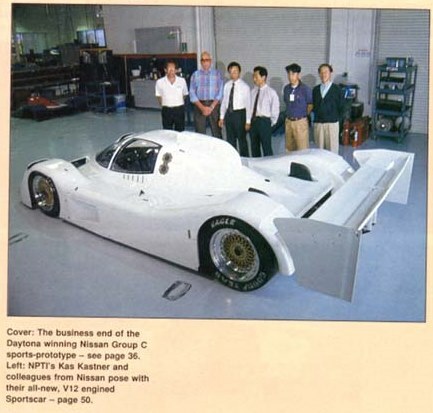 At this time, we had over 220 employees working on the new car for Japan, and racing the present GTP cars and supporting the engine programs. We were told to cut back immediately. All plans for the next season were cancelled. Driver contracts were cancelled. Also during this time, I had a team of engineers working in secret, designing a car for Indianapolis to contest the Indy 500 event in two years. Our long-range plan was also to build our own Indy engine. This was all in that same time frame, and was all part of the long-term plan devised three years before. The axe fell. The team was disbanded, cars and equipment were sold, people were laid off – and within the span of a few months, all of the equipment and buildings were gone. As of March, 1993, NPTI was no more. 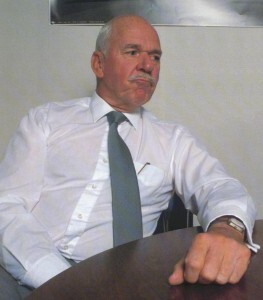 Frank Honsowetz had, in the meantime, been promoted to Motorsports Manager for Nissan in America. My choices were to move back to Los Angeles and take on another position with the company, or retire.